Ohm Force Cohmpost - A free plug-in for the masses ! "You just NEED some Cohmpost in your music. Get it in AU for Mac, VST for Mac or VST for Windows. For your information, no kittens were harmed while creating the Cohmpost (just a bit ruffled, promise). Lawyer warning : Please do not use Ohm Force Cohmpost Mac version unless you totally agree with the license agreement." Dec 9, 2010 Friday 10th December -40% on Ohmicide and Predatohm! 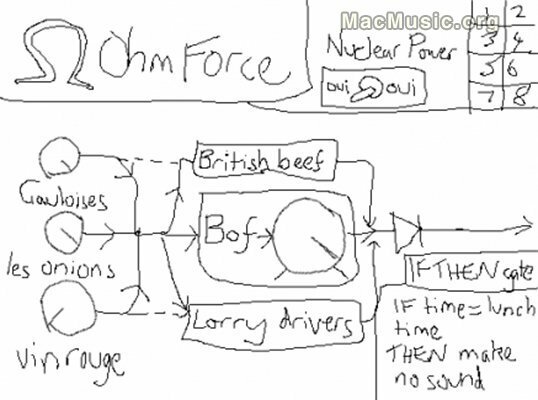 May 13, 2009 Ohm Force Cohmpost - A free plug-in for the masses ! Jun 12, 2006 Ohmforce goes MacIntel ! Dec 15, 2002 Quad Frohmage Released !